Chevron is cutting up to 7,000 jobs, or 11 per cent of its workforce, the latest indication of the toll that low oil prices are taking on the industry. The two biggest U.S. oil companies reported huge profits for the third quarter. 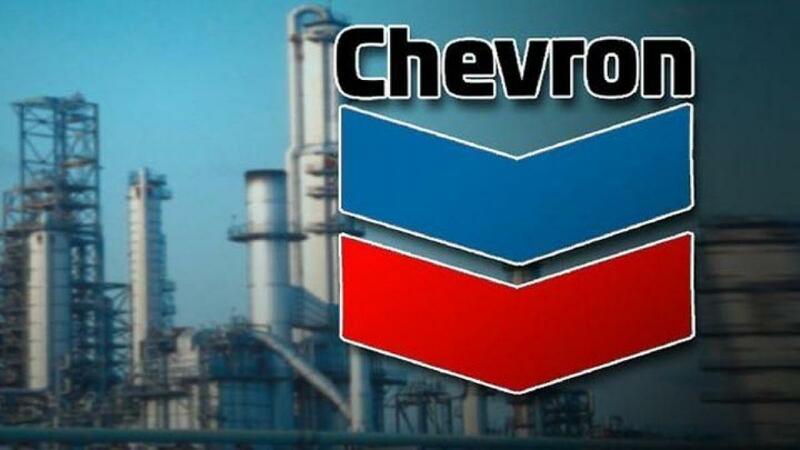 Chevron Corp said Friday that it earned $2 billion, and Exxon Mobil Corp. earned more than $4.2 billion. But those profits are down sharply from a year ago. Chevron\'s profit was 64 per cent lower than last year\'s third quarter; Exxon\'s profit fell 47 per cent, its worst third quarter since 2003. Both companies are slashing costs to boost profits. Chevron is cutting up to 7,000 jobs, or 11 per cent of its workforce, the latest indication of the toll that low oil prices are taking on the industry. The two biggest U.S. oil companies reported huge profits for the third quarter. Chevron Corp said Friday that it earned $2 billion, and Exxon Mobil Corp. earned more than $4.2 billion. But those profits are down sharply from a year ago. Chevron's profit was 64 per cent lower than last year's third quarter; Exxon's profit fell 47 per cent, its worst third quarter since 2003. Both companies are slashing costs to boost profits. Chevron plans to cut capital and exploratory spending next year by one-fourth, with further cuts in 2017 and 2018 depending on the oil industry's condition then. That will include cutting the workforce by 6,000 to 7,000 jobs and shedding a similar number of contract workers, said Chairman and CEO John Watson. Many of the layoffs will be in Australia, he said, and an unspecified number will be in the U.S. Chevron has 64,700 employees. "continuously ... right-sized our global function organization" and has the same number of employees today that it had in 1999, before its merger with Mobil. The average U.S. household is expected to spend $730 less for gasoline this year than last year, according to the U.S. Energy Information Administration. Household spending on natural gas, oil, and propane for heating homes this winter will decline by 10 per cent to 25 per cent depending on the type of fuel, the agency predicts. Oil prices have fallen from over $100 per barrel in June 2014 to under $50 this month, and prices for natural gas have also dropped sharply. Watson said prices will eventually rise as production slows in response to low prices, but he said it was hard to know when that will happen. Many industry experts agree, but the downturn in prices has lasted longer than most had expected. When oil prices rise, Youngberg said, oil companies going through the current downturn will be more cautious about hiring and undertaking big projects. California-based Chevron said third-quarter income plunged to $2.04 billion, or $1.09 per share, down from $5.6 billion, or $2.95 per share, a year ago. The latest results still beat Wall Street expectations. The average estimate of 10 analysts surveyed by Zacks Investment Research was for 79 cents per share. Revenue fell 37 per cent to $34.32 billion despite an uptick in production. Five analysts surveyed by FactSet expected $27.70 billion. Exxon reported third-quarter net income of $4.24 billion, or $1.10 per share. Analysts surveyed by Zacks had expected 89 cents per share. Revenue fell 37 per cent to $67.34 billion, beating the forecast of $61.71 billion among analysts surveyed by FactSet. Exxon's profit from exploration and production dropped from $6.5 billion to $1.4 billion, including a loss of $442 million in the U.S. However, so-called downstream earnings from refining and selling petroleum products jumped from $1 billion to $2 billion on higher refining margins. The Texas-based company slashed third-quarter capital and exploration spending by about one-fifth from a year ago. It has cut stock buybacks that are often popular with investors by making remaining shares more valuable. It expects to spend $500 million on buybacks in the fourth quarter - down from $3 billion in the fourth quarter of 2014. Both Exxon and Chevron, however, have continued to reward shareholders with larger annual dividends - 33 straight years for Exxon; 28 at Chevron. In afternoon trading, Exxon shares rose $1.25 to $83.48, while Chevron shares gained $1.58 to $91.47.